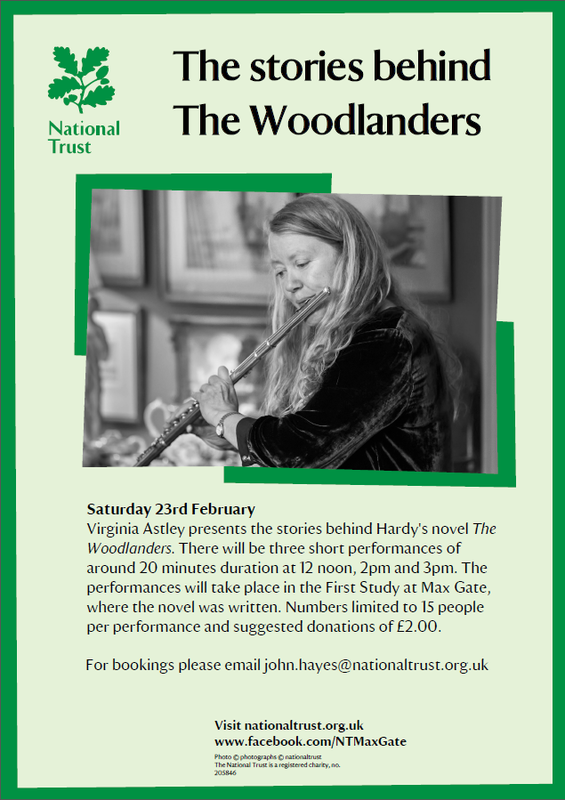 Virginia Astley presents the stories behind Hardy’s novel The Woodlanders. There will be three short performances of around 20 minutes duration at 12 Noon, 2pm and 3pm. The performances will take place in the First Study at Max Gate, where the novel was written. Numbers limited to 15 people per performance and suggested donations of £2.00.